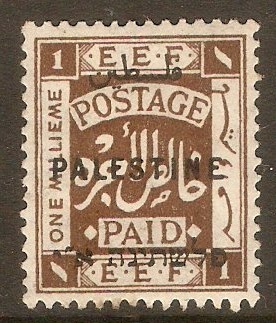 Palestine 1918 9p Ochre. SG13. Unmounted mint 1918 9p Ochre. SG13. Block of 4. 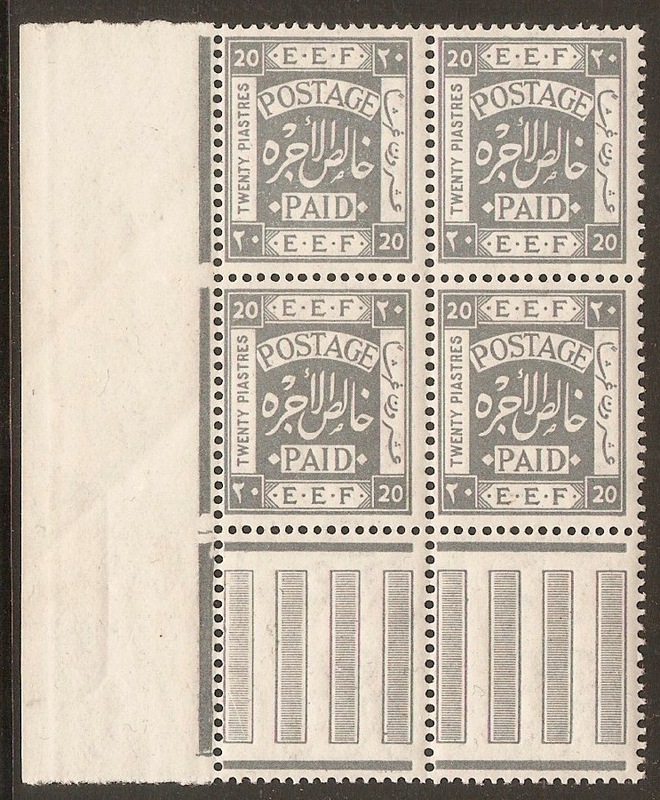 Palestine 1918 20p Slate-grey. SG15a. Unmounted mint 1918 20p Slate-grey. SG15a. Block of 4. 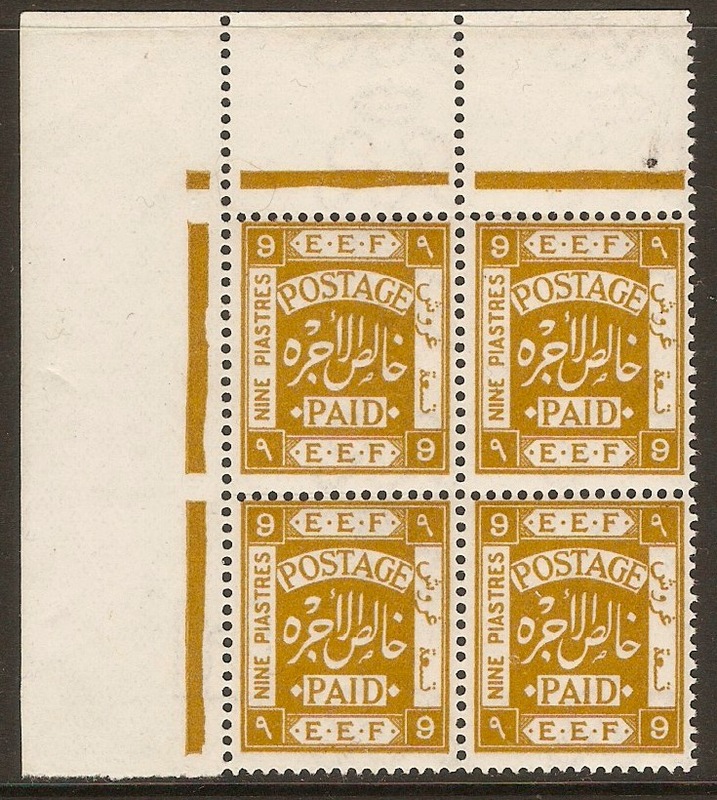 Palestine 1921 1p Bright turquoise-blue. SG65. 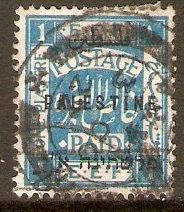 Used 1921 1p Bright turquoise-blue. SG65. Perf 15 x 14. Palestine 1922 1m Sepia. SG71. Heavy mounted mint 1922 1m Sepia. SG71.